In this last week, the master branch of GTK+ has seen 22 commits, with 6199 lines added and 1763 lines removed. Matthias Clasen released GTK+ 3.21.4 and GLib 2.49.4, two new developers’ snapshots. William Hua started merging the patches for relative positioning of menus and popups in the master branch. Lapo Calamandrei did a small visual refresh of the styling of GtkCalendar in Adwaita. Carlos Garnacho updated GDK to use the 2.0 version of the Wayland graphics tablet input protocol. 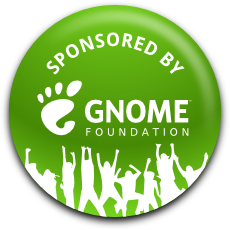 Matthias Clasen updated GTK+ to opt into the new structured logging API provided by GLib. With emerging display server technologies, toolkits sometimes need to adapt how they implement the features they provide. One set of features that needs adaptation is how GTK+ positions popup windows such as menus, popovers and tooltips, so that they will be placed within the work area of the monitor. In the old days, when GTK+ wanted to position a menu, it would first look up the global position of the parent window of the menu. It would then look up the work areas of all the monitors connected. With the given work areas, the global position of the parent window, and the intended menu position relative to the parent window it wanted to place the menu, GTK+ would use a clever algorithm calculating a reasonable position for the menu to be placed so that it would be visible to the user. For example, if the File menu doesn’t have enough space to popup below the parent menu item, then GTK+ would re-position it above the parent menu item instead. For various reasons the concept of “global window positions” has been removed from clients in these new display server technologies, meaning we cannot use our clever algorithm in GTK+ any more. But we still want to make our menus, tooltips, popovers, etc. fully visible to the user expecting to interact with them, so how can we ensure this without knowing anything about where our windows are positioned? To tackle this in GTK+, we had to solve a number of problems. The positioning logic needs to be moved to GDK, while still allowing GTK+ to affect how the menu positioning behaves should the initially intended position end up outside of the work area. Different GDK backends might do things differently. Some types of windows need to know the position it ended up at, so they can adapt how they draw them self. Some windows simply want to take up as much space as they may (for example a menu with far too many choices should not be taller than the screen). Last year, William Hua and I started working on bringing GTK+ into the bright future of global position-less menu windows. After having come up with a set of patches doing just that, the discussion of how such an API would actually look like started. After 200-300 comments, we decided we should probably discuss this in person. 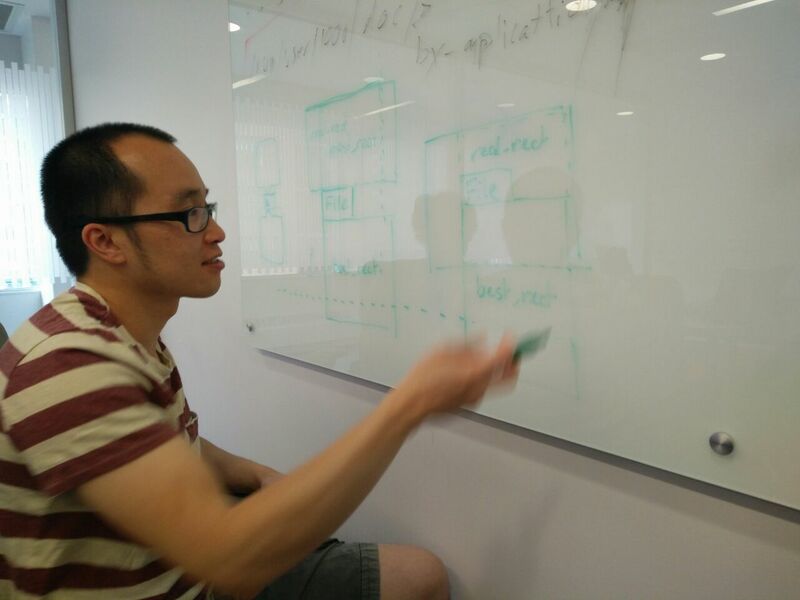 At the hackfest, we got the chance to sit down with a whiteboard in front of us and go through the different use cases, the problems that needed to be solved, how backends would work, and eventually we came up with an API. The parent window it is to be placed relative to an anchor rectangle on the parent window a popup or a menu will often want to be placed in relation to a rectangle on the parent, for example a right-click context menu should expand in some direction from the pixel the pointer was located at when clicking, or a file menu should be placed either below or above the file menu item rectangle on the parent window. Different popup menus might want to open in a certain direction. For example a vertical menu might want to open to the right, while a horizontal menu might want to open downwards. Different popup menus might want to be aligned to the anchor rectangle of the parent anchor rectangle differently. For example, while a combo box might want to expand in a certain direction, it will want to cover the rectangle it expanded from. Different popup menus want to adjust their positions differently; some will want to expand in different directions from the parent anchor rectangle, some will want to just be slid into visibility, some will want to be resized, while some will want some combination of all the three. The offset is simply a nudge factor for a common use case where a popup menu will offset its position relative to an anchor. By having GTK+ come up with a declarative description of how it wants its menu to be positioned, we allow GDK to implement the actual positioning differently depending on how the display server system is designed. On Mir, a MirSurfaceSpec is created, while on Wayland an xdg_positioner object is created. On X11, Windows and Mac OS X, the backends can use the available global positions as well as monitor work areas and calculate an optimal position just as before. GtkMenu:anchor-hints – the positioning strategy. 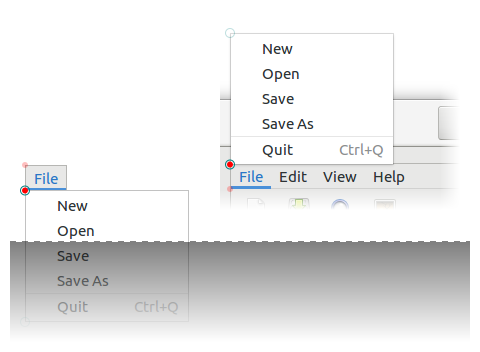 GtkMenu:rect-anchor-dx – horizontal offset to shift window. GtkMenu:rect-anchor-dy – vertical offset to shift window. GtkMenu:menu-type-hint – a window type – this is still needed so that the X11 backend can let the window manager know what type of popup window is being mapped. 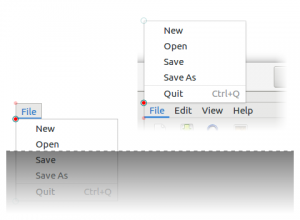 gtk_menu_popup_at_rect () – given the parameters set, popup a menu relative to a given rectangle on a parent window. gtk_menu_popup_at_widget () – given the parameters set, popup a menu relative to a given widget on a parent window. gtk_menu_popup_at_pointer () – given the parameters set, popup a menu relative to where the user just clicked. With these functions, developers of custom widgets can now position popup menus in a portable manner. So far, GTK+’s own popup menus have already been ported to use these new functions. There is already a basic proof-of-concept in the Mir backend, and a Wayland implementation is in progress. Head over to the bug to see all the details of how to place your menus in the future. In this last week, the master branch of GTK+ has seen 26 commits, with 2416 lines added and 180 lines removed. Emmanuele Bassi is working on his GSK rendering branch, and Alex Larsson gave an initial review. Emmanuele also wrote a blog post on his GSK work. The discussion on the release strategy is still going on on gtk-devel-list; opinions are still welcome. William Hua has been rebasing his branch on the new, Wayland and Mir ready popup positioning API, which replaces positioning via global coordinates. Matthias Clasen landed the “portals” implementation for negotiating access to resources outside of a sandbox in both GLib and GTK+. You can read more about it on his blog. In this last week, the master branch of GTK+ has seen 23 commits, with 1154 lines added and 121 lines removed. Matthias continued to work on the portal branches of GLib and GTK+. Emmanuele continued to make gsk render widgets on the gsk-renderer branch. Philip Withnall is working on a patch series to make GLib support structured logging to the systemd journal here. Carlos Garnacho improved compatibility of Wayland clipboard handling with legacy X clients. Matthias made it possible to hide the preview button in print dialogs. Georges Basile Stavracas Neto added support for background-blend-mode to the GTK+ CSS machinery. Over in GLib, Matthias added a new gio utility that combines the functionality of the various gvfs commandline tools into one.